Hey peeps! Guess what? 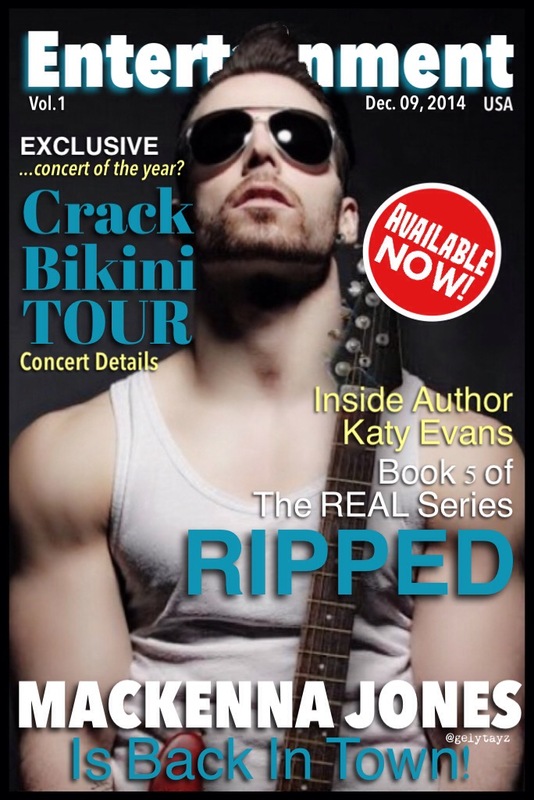 The sweetest Katy Evans is giving away a complete set of eBooks of her REAL Series. The blog tour is still on going, so visit for the complete list of the awesome bloggers who are joining. In the mean time, you can click here in case you missed my 5 shinning star review yesterday. And now, share the love and spread the word. Just comment below and I will pick one lucky winner on Sunday, December 14th! This entry was posted in Alpha Male, Book Recommendation, Book Trailers, Books, Favorite Authors, Giveaways, Katy Evans and tagged Adult Romance, Badass, Book Crushes, Book Recommendation, book trailer, Books, favorite authors, giveaway, Katy Evans, reviews, RIPPED, Rock Star. I love this series!!! I count down the days until your next book. Are you going to write a new series? I love this series! Looking forward to reading the next book – Ripped! Thanks for the chance!!! Amazing book trailer!!! Already replied to your email 📧 !! Beautiful trailer! Love this series and I am pretty sure that “RIPPED” would be great book. Wow! That trailer is mesmerizing! Thanks so much, great review! I absolutely love your books, I love Remy and cannot wait to bury my head and yuck in and read about Mackenna in ripped. Amazing; I can’t wait to read. Thanks for the chance. I am telling all of my book loving friends. I LOVE, LOVE this series ! The trailer was amazing !!! Thank you so much for the giveaway !!! I’m reading RIPPED right now and so far it is OUT OF THIS WORLD, AWESOME !!!!! Seriously, this is AWESOME! Huge fan of Katy’s and I so wanna read this!!! THANK YOU!!!!!! ❤ Sharing!!! The Real series is one of my favorites. Absolutely love Remy!! Top of my book boyfriend list. I recommend this series to everyone!! Shared, thank you so much for the chance! What an amazing giveaway! Thank you for the chance. I love this series! And that trailer is amazing. Love the trailer! Love Katy’s books. What a wonderful trailer and I love the Real Series! Can’t wait to read “Ripped”!! I cant believe they hit him with tomatos. That was great! !!! that trailer looked amazing!!! Love love love this series! Hope to win!!! I Cannot wait for this book! Thank you for the chance!! This author can really tell a story in an epic way. Loved the review…the trailer really set the scene and now I’m off to one-click on Amazon with my itchy fingers! What a great giveaway for one of my favorite series! Thanks to all involved for it.